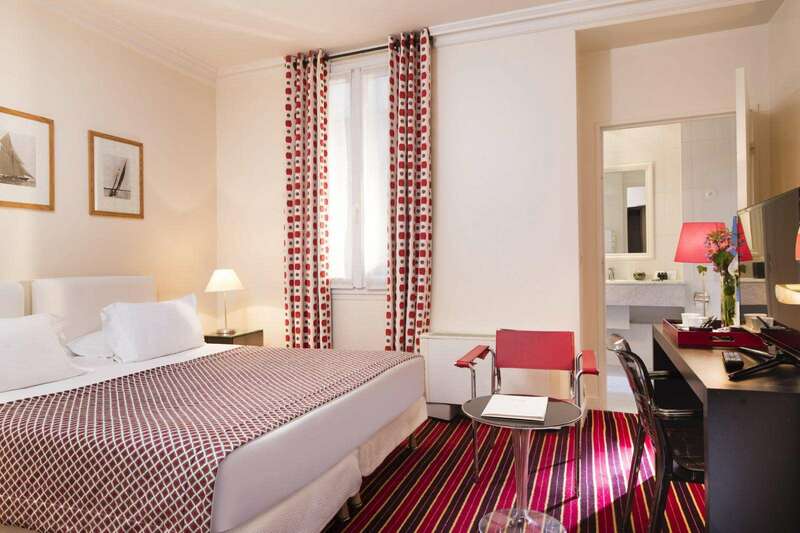 The hotel Le Vignon welcomes guests in the 8 th district of Paris, close to La Madeleine and just a few minutes from major tourist attractions. 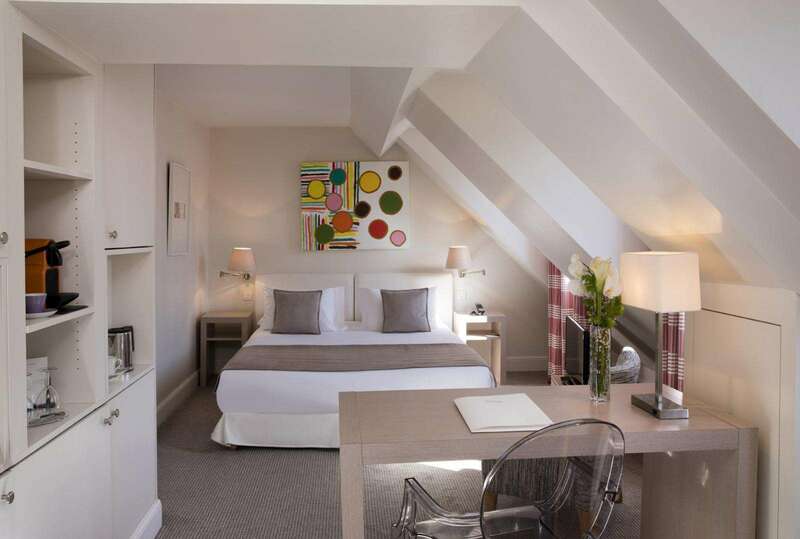 This boutique-hotel with4 -star facilities and services offers a high level of comfort for a charming stay in one of the French capital's liveliest districts. Make the most of our hotel's superb central location in the sought-after district of La Madeleine. Just a short walk from the metro, tourist attractions nearby have something to offer all tastes, such as the Garnier Opera House, the Louvre, Paris' major thoroughfares and famous department stores, "Musée d'Orsay", and the Olympia. See a few of Paris' many treasures as you stroll through this authentic and lively part of town. The reception team will be delighted to share their knowledge of Paris and offer advice, to make sure that your stay is a successful one. Make your visit to Paris an experience you will not want to forget. Enjoy one of our 28 bright rooms with a colourful, refined and contemporary decorative scheme. The hotel Le Vignon offers a cosy, peaceful and welcoming setting, perfect for a relaxing break for two, a family stay or a business trip. 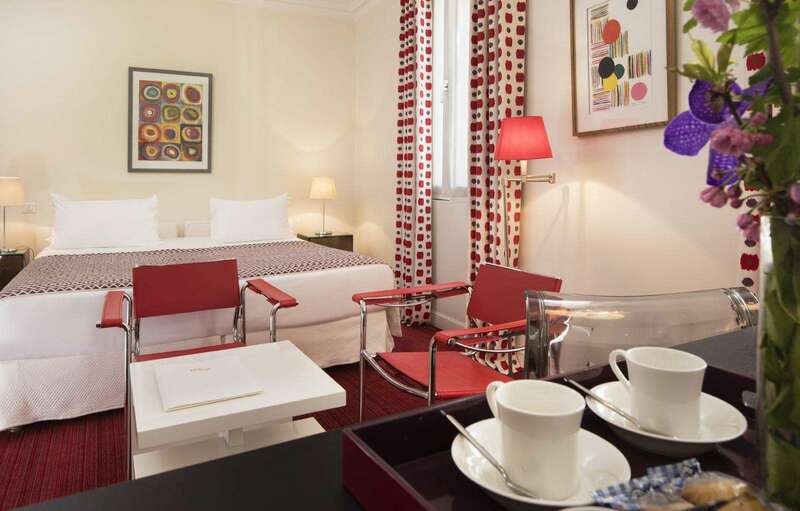 Enjoy the contemporary, stylish charm of the hotel Le Vignon and its 4 -star facilities and services, as well as its superb location in the 8th district of Paris . Make your visit to Paris an experience you will not want to forget. to give you the energy you need for a day of sightseeing or work. get 15% OFF our internet rate! Benefit from a 10% reduction on our online rates!